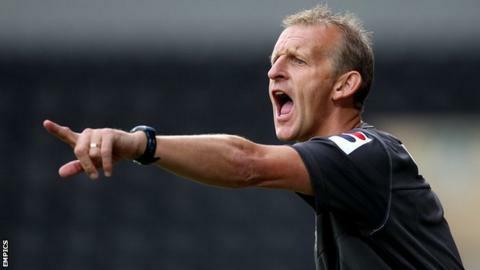 Gillingham assistant manager John Schofield says he is loving life with the club since moving to Priestfield with Martin Allen last summer. The Gills have been top of League Two for most of the season but are now second, two points behind Port Vale, albeit with two games in hand. Schofield told BBC Radio Kent: "Things could not have gone any better. "I said to the gaffer [Allen] the other day: 'Does anybody else feel like they have won the lottery?'" He added: "It's been fantastic. We came together the day before pre-season and it has been full steam ahead ever since. "Everyone at the club has been welcoming and the chairman [Paul Scally] has been superb in helping us re-jig and shuffle the squad, and reshape a few things in and around the club. "We have had great support from the fans and all the staff we inherited. The players have bought into everything we have done, which is a massive thing. "It's easy having plans and a process of how you are going to achieve those goals, but to actually come to a football club that really wants to embrace that vision you have got has been fantastic." Former Gills boss Andy Hessenthaler stepped down in the summer after failing to deliver promotion to League One. A run of four home games without a win has been a factor in the Gills slipping off the top of the table, but Schofield is confident the new management team will be able to seal a place in the third tier next season. "It is disappointing when you don't win every game but you are not going to win every game," Schofield continued. "We have built our plan this year on gaining points over 46 games and we need to get those points. "It's a case of making sure that at the end of the season we are in the position we want to be in. "Part of our philosophy is to be consistent throughout games and throughout the season. The teams that are consistent through will be at the right end of the table - that's what we aim for."